Since 1969, Donal has implemented leading edge solutions whenever a new technology has been made available. 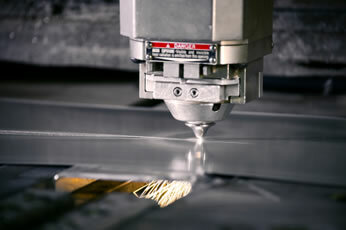 Today’s CNC equipment is integrated into the factory with automation and interoperability. Donal is equipped with modern, Flexible Manufacturing Centers built by Okuma and Makino, which allow for economical, smaller quantities with extended scheduled deliveries; ideal for families of parts going direct to your assembly line. Raw material is loaded into pallet storage systems and sent to the CNC spindles according to the delivery needs of the customer. The latest Solid Modeling Design and CAM software augment Donal’s services. Our CNC department operates under the Aerospace and Defense Standard (Scope of supply: Precision Machining, Assembly of Machine Products for Aviation, Space and Defense Industry), so all aspects of the CNC manufacturing process for Aviation, Space and Defense are monitored and documented. NADCAP services are incorporated into orders that require Certification for outside services. Technology improves over time and Donal is continually improving to give its customers the latest advantage. On-time delivery in full and zero defects are our vital objectives.